Sealodge vacation rental: Kauai, Princeville condo rental at Sealodge is ideal for Kauai, Princeville Honeymoons and vacationers. Sealodge is located in resort community of Princeville on the Island of Kauai, home to two world class golf courses, on the north shore of the Garden Isle of Kauai. One and Two bedroom Sealodge condos are second homes for private owners and are ideal accommodations for Sealodge vacations and Kauai honeymoons. Please be aware that prices may vary up to $210 per night. Please call or email the property owner for a more detailed quote. This privately-owned Kauai condo is fully furnished with all linens, and has cable TV, DVDs, VCRs, and telephones. The full-size kitchen is completely equipped, and have microwaves, additional small appliances, dishes, pans, etc and washers and dryers. This Sealodge condo are located in beautiful Princeville, Kauai on the north shore of Kauai, we have received the, 'Solid Gold Value' award from, The Ultimate Kauai Guide Book! Hestara is the oldest Sealodge condo business created in the early 1970s with its business focused on Sealodge, Princeville located in the North Shore of Kauai. We now have the best condos and views ranging from the light house at Kilauea and Anini beach to Bali Hai. 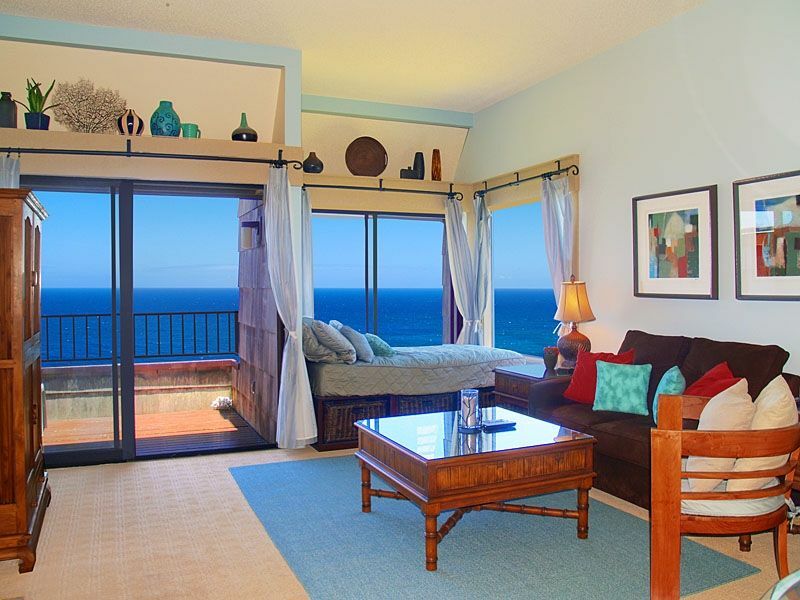 Please join us going on over 3 decades of Sealodge condo rental success! Read on for more information about Kauai, Princeville, and Sealodge Kauai condos from Hestara: the oldest and largest exclusively Sealodge Kauai vacation condominiums rental agents …with the best units in the north shore, since 1974. Ideal for your honeymoon! We come to Sealodge on the north shore of Kauai at least once a year. People often ask us what we do in this corner of the island for 3 weeks. Sometimes what we don’t do is more important than what we do. This is a perfect place to relax. We leave the makeup, long pants, shoes, and nylons at home and pack a bathing suit, flip flops, and a sarong. People come to start a new relationship or to patch up old ones. If we choose to, we can get away from phones, TVs, and computers. It’s possible to while away the hours watching for sea turtles on the reef, spotting whales in the winter, listening to the waves break, and letting the tropical air soothe our mainland frustrations. Once we start to unwind, we can take a morning walk to the public beach at the Princeville Hotel, swim and snorkel in the shallow waters that bathe their coast, have a Mai Tai and a sandwich from their beachfront café and nap in the warm afternoon sand. For me, that’s a perfect day. My Dad and I enjoying Princeville golf. Unbeatable views...location is perfect and this is paradise- best of Hawaii. Very quite and beautiful place to spend with loved ones. Broadband DSL access, Pool, in-unit Washer, Charcoal BBQ, Ceiling fan, DVD and CD player. Amazing unit - epic views and renovated units by design professionals. Trail access to Beach. Prinville hotel has a spa and fitness center within 5 minutes from condo.